"What Jono and I discovered is that dust and gas trying to move with one another is unstable and causes dust grains to come together," says Hopkins. "Soon we began to realize that these gas-dust instabilities are at play anywhere in the universe that a force pushes dust through gas, whether the forces are stellar winds, gravity, magnetism, or an electrical field." The team's simulations show material swirling together, with clumps of dust growing bigger and bigger. 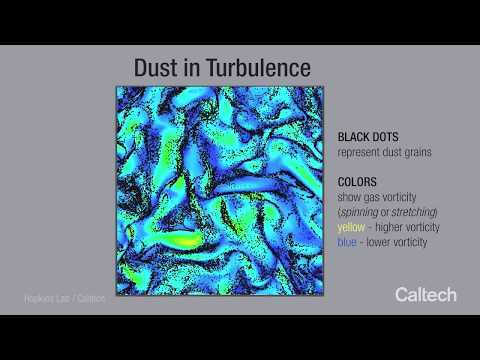 "We actually started out studying dust-driven winds in space, but as we studied the problem, we noticed specific features of the instabilities that led us to think this was a more general phenomenon," says Squire, who together with Hopkins has authored four articles on their new findings, one published in The Astrophysical Journal and three in the Monthly Notices of the Royal Astronomical Society. "From here, it kind of snowballed, since we were able to study lots of different systems—galaxies, stars, planet formation, the gas close to supermassive black holes, supernovas, et cetera—and confirm our intuition. It wasn't a eureka moment but a series of eurekas that lasted about a week." Perhaps the most notable implications for the newfound Hopkins-Squire instabilities are for the study of burgeoning planets. Planets take shape within dusty, rotating "protoplanetary" disks of gas and dust around young stars. In these disks, the dust coalesces to form bigger and bigger pebbles and boulders, then mountain-size chunks, and eventually full-grown planets. At some point during this process, when the pieces of rock are big enough—about 1,000 kilometers in diameter—gravity takes over and smooshes the mountainous rocks into a round planet. The big mystery lies in what happens before gravity takes effect—that is, what is causing the dust particles, pebbles, and boulders to come together? Researchers once thought they might stick together in the same way dust bunnies accumulate under your bed, but there are problems with that theory. "If you throw two pebbles together, they don't stick. They just bounce off each other," says Hopkins. "For sizes in between a millimeter and hundreds of kilometers, the grains don't stick. 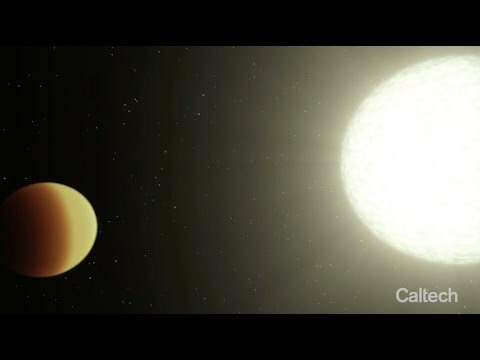 This is one of the biggest problems in modeling planet formation." In the Hopkins-Squire instability model, which builds on previous models of dust-gas interactions, the formation of planetary dust clumps would begin with tiny dust grains moving through the gas orbiting in a protoplanetary disk. Gas would curl around a grain like river water around a boulder; the same thing would happen with another grain of dust nearby. These two gas flows might then interact. 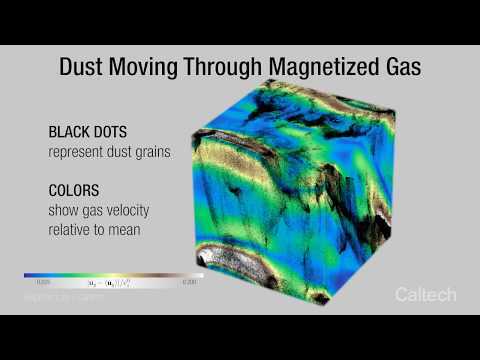 If there are many dust grains in relatively close proximity to one another, which is the case in planet formation, the net effect of the many resulting gas flows would be to channel the dust together into clumps. "In our new theory, this sticking through clumping can occur for a much wider range of grain sizes than previously thought, allowing smaller grains to participate in the process and rapidly grow in size," says Squire. "Understanding the origins of our solar system ranks among the most important problems in all of natural science, and the discovery of the Hopkins-Squire instability is a significant step toward attaining that understanding. This is an exciting development," says Caltech's Konstantin Batygin, assistant professor of planetary science and Van Nuys Page Scholar, who was not involved in the study. The research team says these instabilities may also be important in completely different situations here on Earth. For instance, volcanic ash or raindrops interact with our atmosphere in exactly the same way that astrophysical dust interacts with its surrounding gas. "It's very interesting to explore how these instabilities could operate in all these different scenarios," says Squire. "We're looking forward to understanding completely different instabilities in other areas of physics and applied mathematics—and, hopefully, to finding other entirely new and interesting systems where this occurs." The four relevant studies are: "Resonant Drag Instability of Grains Streaming in Fluids," "The Resonant Drag Instability (RDI): Acoustic Modes," "Resonant drag instabilities in protoplanetary discs: the streaming instability and new, faster growing instabilities," and "Ubiquitous instabilities of dust moving in magnetized gas."